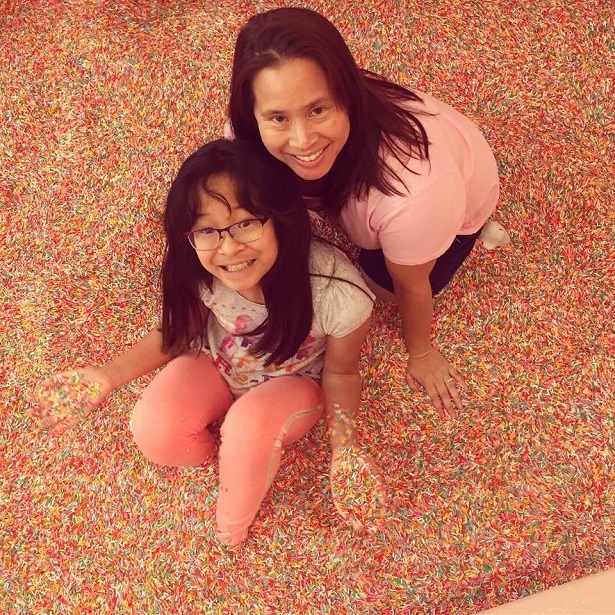 Recently we visited the Museum of Ice Cream in downtown Los Angeles. 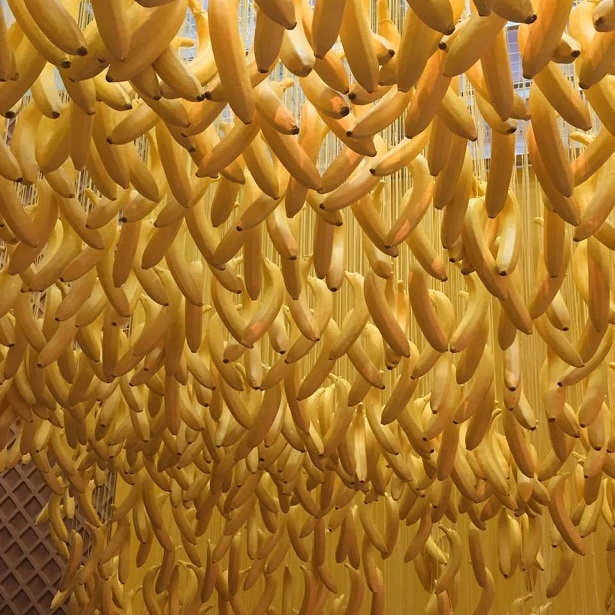 So what makes this museum so unique & fun? 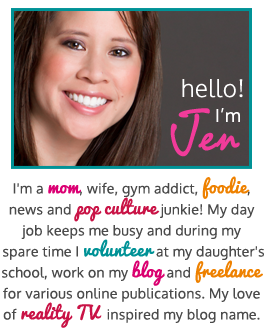 Read on & find out! I was one of the lucky people who managed to buy tickets when the museum extended their run this last go around. On the day of the event, we left the Valley in plenty of time to reach downtown LA (you never can tell with LA traffic). We made good time (it was a Sunday after all & no sports games were playing on that day), so we got to the location early which is fine because we weren’t sure how the parking situation worked. 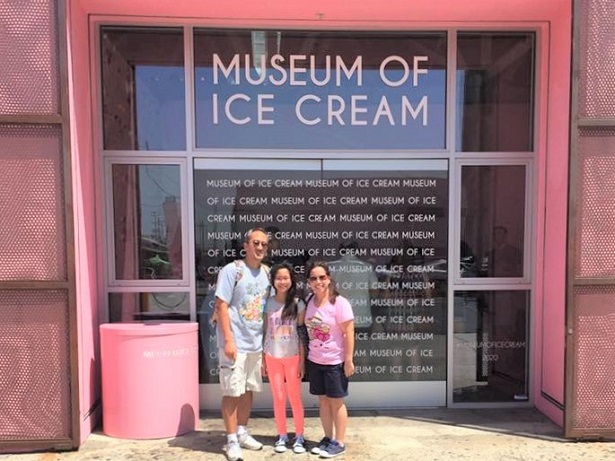 After we checked-in, we waited outside in the Museum of Ice Cream’s cool patio area! They have tables & chairs, plus really great music playing. 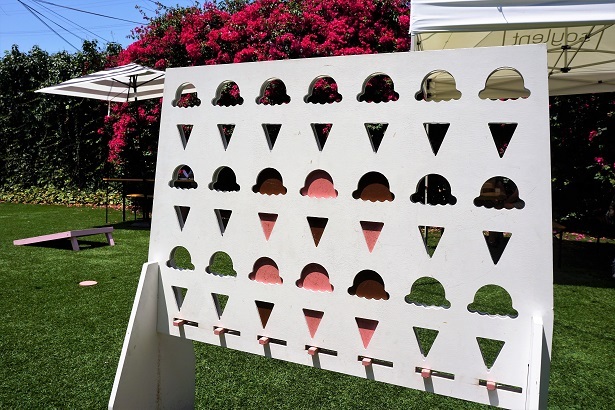 There’s also fun games – puzzles, hula hoops & other neat things to pass the time while you wait. Finally our group was called & we assembled in the museum lobby. We were each handed a sample of Dove Chocolate & then our tour guide proceeded to give us the 411 on what to expect. The rules are pretty simple, once you enter a room in the museum, you’ll have time to check it out, take pictures (this place is an Instagrammers dream! 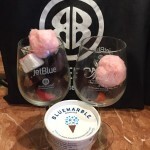 ), sample some ice cream, etc. However, once you leave the space & go through the door, you cannot go back in the previous room. The idea is for crowd control purposes & keep the flow moving through the museum. The first room we entered was the telephone room. 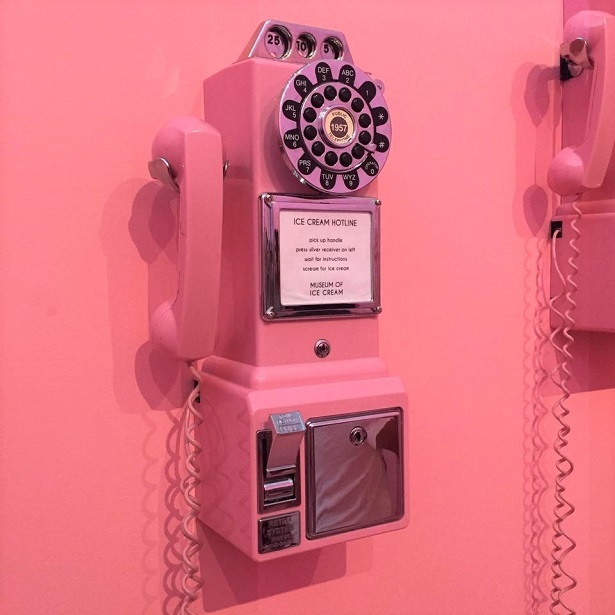 An entire room filled with pink telephones!! 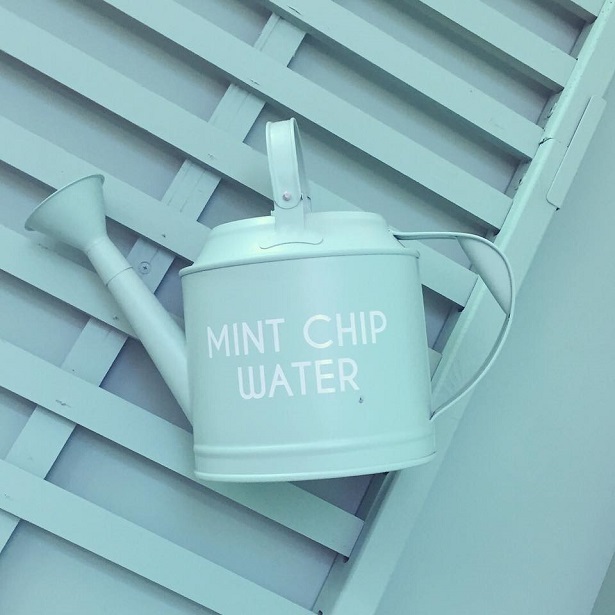 The idea is that you lift the handle & listen to the message. My phone didn’t work though, my daughter couldn’t hear what the recording said on her machine & my hubby’s worked but at that point, the group was leaving to go to the next area so we just left. 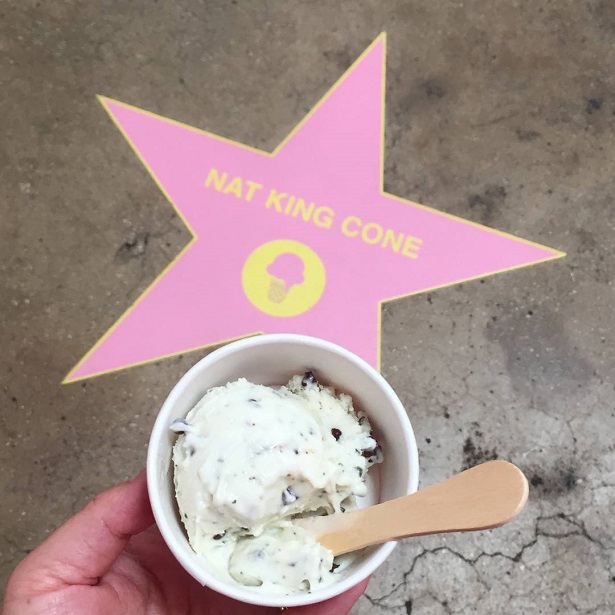 From there we entered another fun room where we got to sample Coolhaus Ice Cream – Dirty Mint Chip to be exact! This was my favorite sample of the day. It had chocolate chips mixed inside of the ice cream which tasted fresh & minty (it was delish!). Afterwards, we stepped inside of a room that made me feel very tranquil & calm. I think it had to do with the color scheme of the wall & because of the fact that the room was filled with plants. 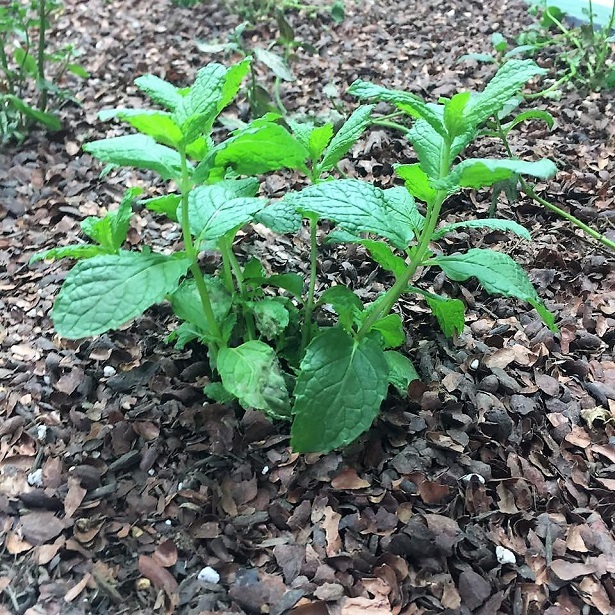 Mint plants were growing & the brown dirt/mulch that the plants are covered in is actually cacao shavings or cocoa shell mulch. The museum employee actually encouraged the group to not just smell the mint plant but the cocoa shavings too! 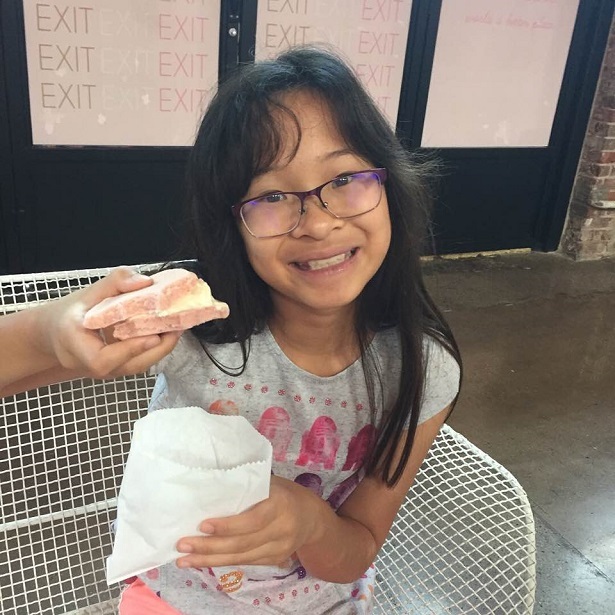 We were also treated to a mochi ice cream sample that was, you guessed it…mint flavor! My hubby & daughter loved it so much that we wanted to know where we could buy a box of ’em. We found out that the company who makes it is NOT the same one that sells them at Trader Joe’s. After doing some digging, we learned that the flavor is called Minty My/Mo Mochi Ice Cream. Then we all lined up take turns at one of those old-fashioned arcade games. It’s the one with the claw & you steer the joystick so that you can grab a prize (museum key chains, small plush, etc.) at the bottom of the booth. I swear it was rigged…no one in my group won a prize. 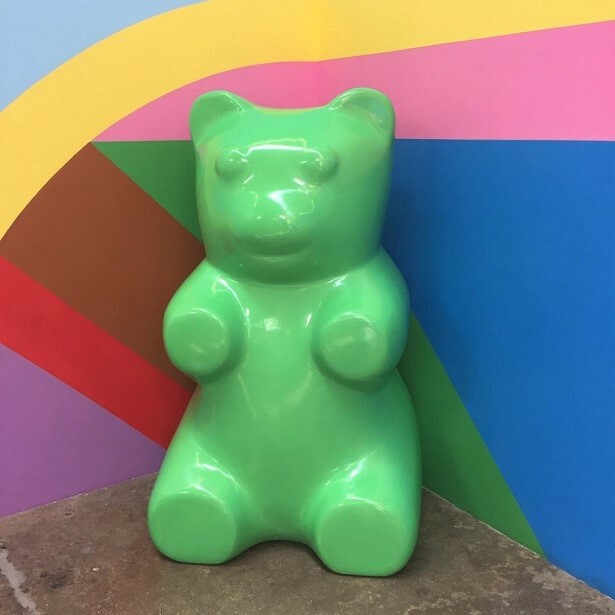 We made our way into the gummy bear room where we sampled (wait for it)….gummies!! Actually only my daughter took some because I think my hubby was trying to pace himself & I was starting to get a weird sugar high. At some point we landed in an area that offered black licorice, chocolate covered cherry candies & small tiny chocolates that were about the size of BB gun pellets. I wisely passed on the black licorice & tried out the dark chocolate cherry candy & tiny chocolates. 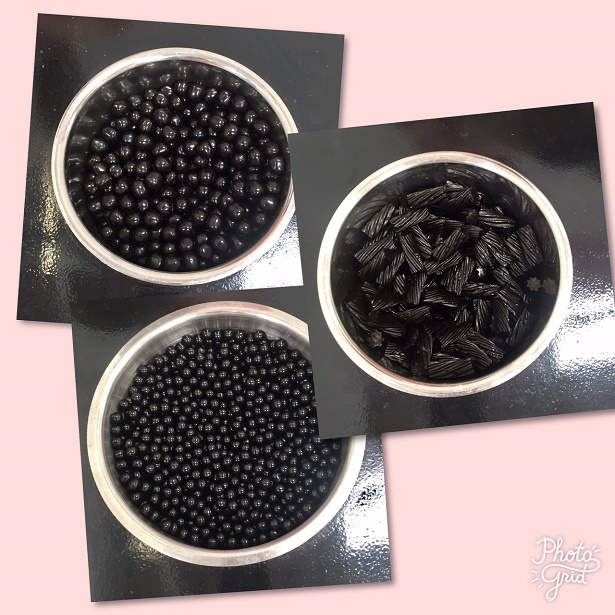 As I was snapping pics of the candies, I asked the museum employee how many people actually try out the black licorice – he said about 20% of attendees, on any given day. It figures…I mean who likes black licorice?!? Finally we were about to enter what everyone in the group seemed to be waiting for, which is the sprinkle pool. Are they real sprinkles? No of course not, how gross would that be?!? The sprinkles are made of plastic but it’s super colorful & when you go inside, you feel happy, as if you stepped into a real life Candy Land game! The tour guide warned us to be careful with your jewelry (rings, loose bracelets) & cell phones because if you drop it, then it will sink down & good luck trying to find that. 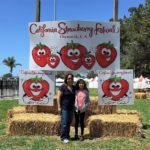 All in all, I thought it was a super cool way to spend a Sunday Funday with the family. From what I understand, tickets are completely sold out through October but who knows, maybe they will extend the LA engagement through the end of the year? 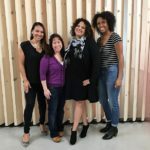 Here’s their website in case you want to get more info. 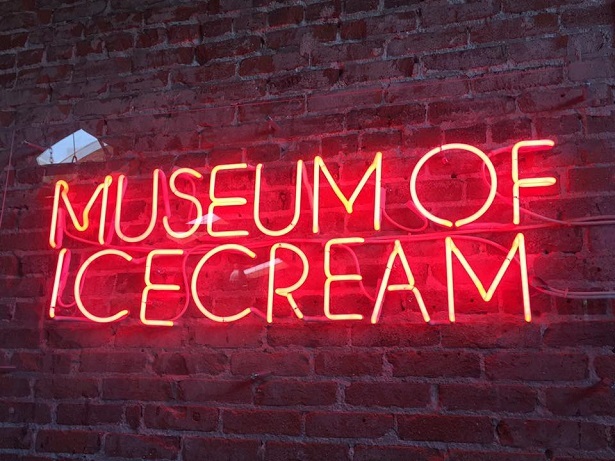 So tell me, would you go or have you gone to the Museum of Ice Cream? What was your favorite part? Disclosure: No monetary compensation was received for this post. 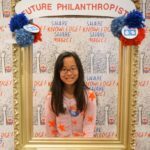 This blog post is for informational purposes only & we happily paid for our own museum tickets! All images & opinions are 100% my own. 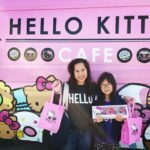 Hello Kitty Cafe Truck Returns to Valencia Town Center on February 4th! 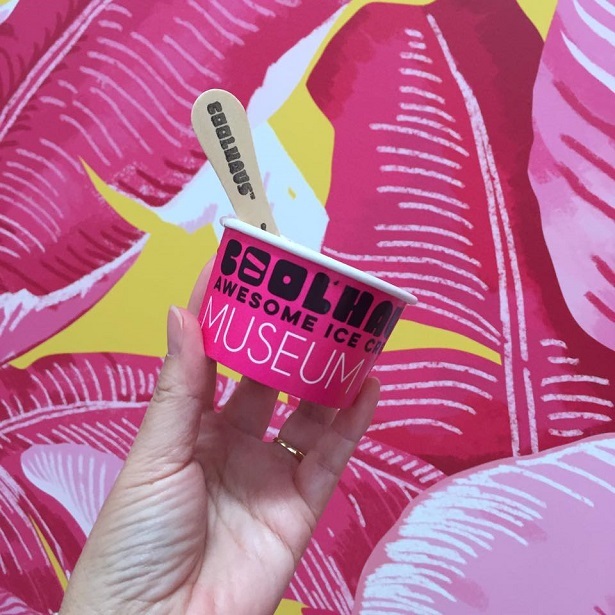 Just loved how descriptive and detailed coupled with photos on your blog about the IceCream Museum 👍🏼!!! Haha, I think of Stranger Things too with that neon sign. Glad to see you can actually eat ice cream there!